Seismic changes in ideology and economic policy in China followed the death of Mao Zedong but one aspect of culture has remained constant. The use of ‘Model Workers’ in both a political and commercial context continues to thrive in China and although the messages they promote have largely changed, their continued use indicates the extent to which they are believed to be an effective form of persuasion. Model Workers were deployed at key points in China’s recent history and served to embody the Party’s vision of the ideal Chinese citizen as they attempted to reshape the nation following a, ‘century of humiliation,’ a ruinous war with Japan and a divisive civil war. This volume utilises the detailed analysis of posters, cinema, and translations of related propaganda interviews and articles to explore the extent of the influence of the Model Worker propaganda on national policy. 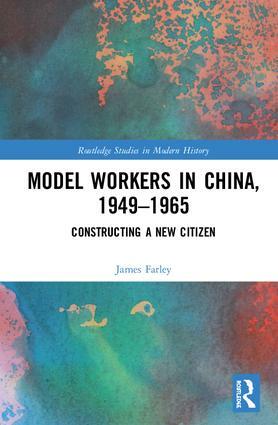 James Farley is an expert in the field of propaganda and modern Chinese history and holds a PhD from the University of Kent, UK.